One paramedic said it was like nothing he’d ever seen or heard in his life. Cape Town and its far surrounds were buzzing with the reported startling sight of a massive streak of light that flashed across the evening sky on Wednesday at between 8.10pm and 8.30pm, depending on who you ask. It was apparently then followed by the sound of an explosion, which some said sounded like a gas bottle exploding. Granny lives in Hermanus. Houses / windows were shaking. Dogs barking. All neighbours out in the street after the explosion. #Meteorite ???? People from all over the Cape, from Hermanus to Franschhoek, Cape Town and all the way to the Swartland, have been talking about the “massive flash of flight” that appeared suddenly in the twilight sky. One person caught evidence of it reflected in his pool on CCTV. Saw it in Hermanus, followed by a loud bang that shook my flat. Speculation about a meteorite. Trippppppping because I just came from a talk on @SKA_telescope and other science things I don't understand and then this meteorite happens. ???????????????????????? 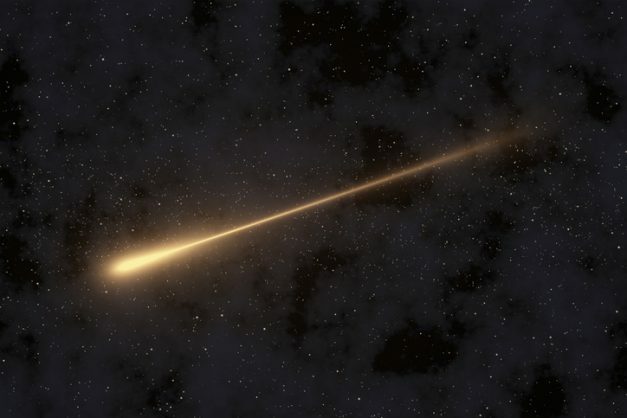 Many people speculated that it must have been a far bigger than usual meteorite breaking up and burning to particles in the earth’s atmosphere. It’s not known whether any part of the object made it intact to the earth’s surface, which would be an exceedingly rare event. Fortunately everyone in the fairest Cape seems to have survived the cosmic scare. Hey @SANSA7, any idea if there was a meteorite/asteroid landing in the Overberg this evening?